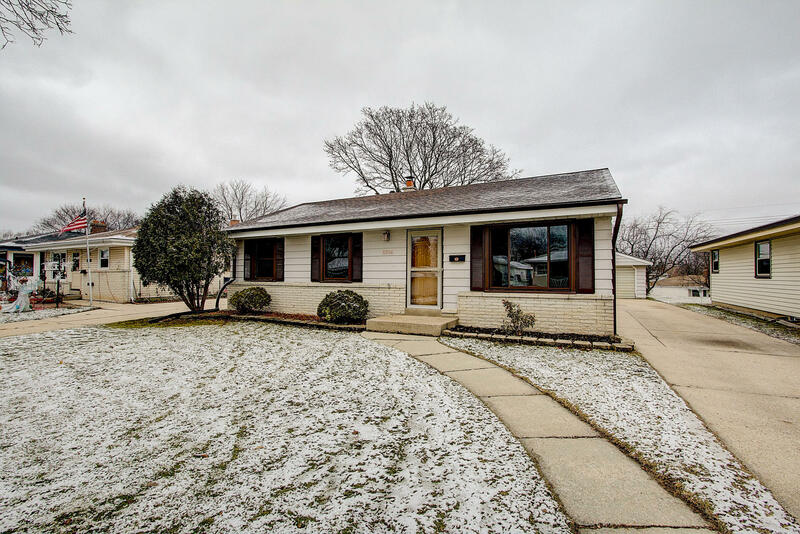 Terrific location for this charming 3 bedroom ranch! Bright & Spacious Living Room & Formal Dining Room! Delightful Kitchen with neutral counters, pantry closet and stainless appliances included! Good sized bedrooms, plenty of closet space! Freshly painted interior with neutral tones! Hardwood Floors at LR, Hallway & Bedrooms!Wonderful living space at lower level rec room with new carpet! Per seller Central Air~2018, roof on home and windows were replaced during seller's ownership period. Side drive leads to 2.5 car garage! Lovely LARGE fenced yard with additional garden shed! 1 Year Home Warranty included! Outstanding location & wonderful value...move right in & make this one your Home Sweet Home!